Heh - see sibling comment! There's a hidden ace: We recently tweaked the Folder View drop menu to merge in Plasma containment drop actions. 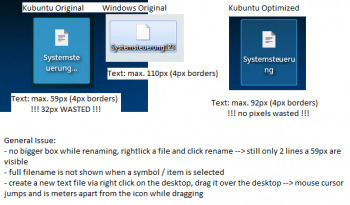 So when you drop a folder on the desktop, you will not only get the Copy/Move/Link options, but also the option to spawn a Folder View widget for that location, for the first time ever (and other appropriate widgets for other MIME payloads). This will aid discoverability. I remember a few years ago that aseigo complained about HTML/JS was finally getting DND and all those nice interactions we have on desktop since... forever... His main complain (very rightly so) was : so what? Whey are you trying to emulate in something we had in native applications in a very crappy programming model (JS/HTML/DOM)? (not his exact words... but the main idea remains... I hope). And now... we finally got in Plasma what we had in KDE3... we got to the same functionality. But now we require a very "heavier" stack (Qt5 is more demanding than Qt3 etc, the graphics driver need to support 3D otherwise the desktop will not work etc). Does it fell like... we "wasted 7 years"? Yes, you're being too cynical, and also technically wrong :) "3D" is now the most efficient way to use modern programmable graphics hardware (which internally don't really have "2D" anymore), so it's lighter in terms of efficiency and power usage. 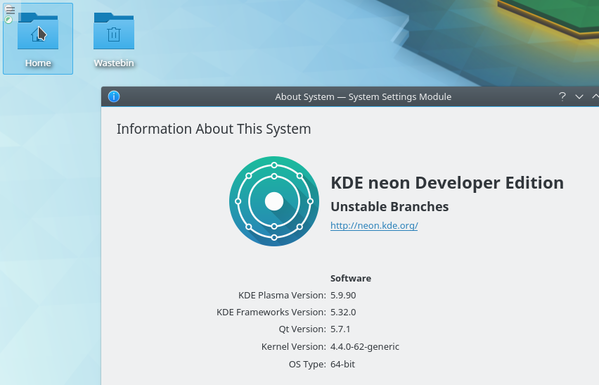 Plus it's not really the *same* functionality, either - Folder View in Plasma 5 packs a lot of features that KDE 3.x didn't have! I like this choice, but while your screenshot looks nice, it is missing showing the desktop toolbox which is still placed top left by default. With the folderview as the default desktop containment, an old issue of desktop items (icons etc) overlapping that toolbox is now quite obvious and not looking too pretty. Good catch! We're currently working on an approach where hovering an icon item that's overlapping the toolbox will lower the toolbox below Folder View. We'll see where it goes, but we're aware of the problem. why cant we just hide that horrible widget box by default? I'm sick of having to remove that thing every time i setup a new screen. 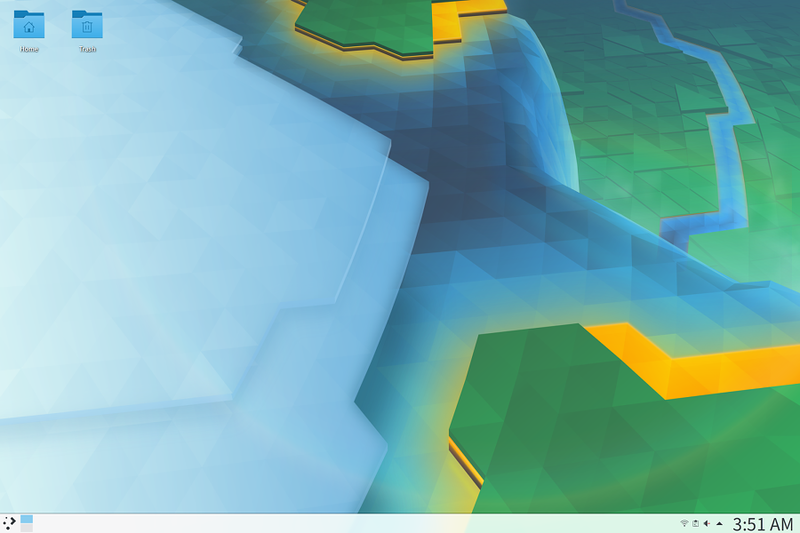 An i've only been on kde since 5.9. Its already in the right click menu, why do we have to have it there at all?